TOKYO, May 23 (Xinhua) — Facts about the Fukushima nuclear disaster triggered by a powerful earthquake kept emerging over the past five years after the mishap took place, revealing the real face of the disaster. In front of the local government of Iidate Village in Japan’s Fukushima Prefecture, there stands a sharp radiation measuring device. On its spotless dashboard jumps a red number: 0.38 microsieverts/hour. The spot is about 40 kilometers from the Fukushima Daiichi nuclear power plant which was crippled by the monstrous quake-triggered tsunami in March 2011. However, volunteer Yoichi Tao who majored in physics said the figure of radiation on their own device is 8 to 10 times of the official one. According to Tao, the government dispatched the military to wipe out the nearby nuclear radiation on the ground in advance, so the official figure looks very low. “That’s how the government did it,” he said. Toshihide Tsuda, professor of environmental epidemiology at Okayama University, found out that the rate of children suffering from thyroid cancer in Fukushima Prefecture was as much as 20 to 50 times higher than the national average as of 2014, three years after the Fukushima nuclear disaster. His finding, however, did not arouse concern from the Japanese and local governments. On the contrary, it was rejected by the Fukushima prefectural government, attributing the phenomenon to a surge of “over diagnosis.” The local government insisted the cancer incidents and nuclear radiation were not related. 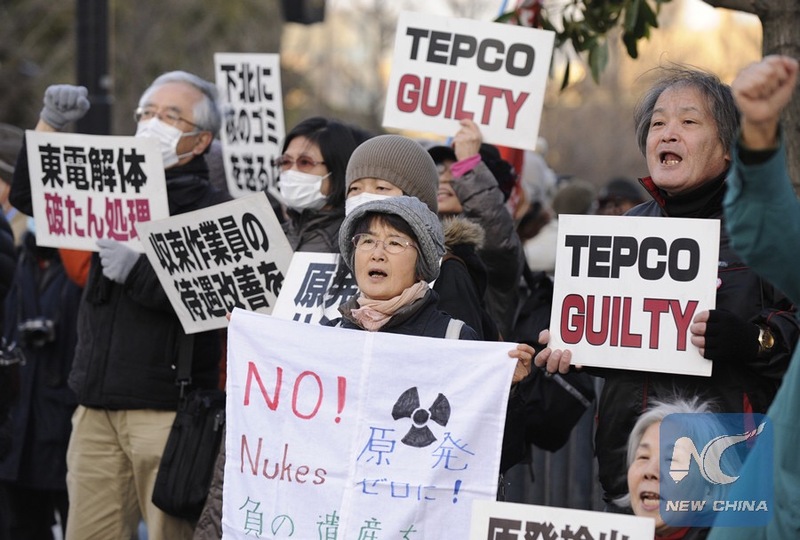 It has also been revealed that TEPCO, or Tokyo Electric Power Company, had knowledge of multiple meltdowns at the plant’s reactors following the tsunami, but intentionally refrained from informing the public of the fact until recently. Underestimating the long-term impact of the accident could lead to a slack supervision on affected foods. It may also produce an unrealistic optimism in the Japanese government, thus the official handling of the aftermath would be careless, experts warned. Regardless of what data emerges, the policies of international governments don’t change appropriately. Even the most rudimentary instinct for self-preservation should trigger some reaction, but none is forthcoming.